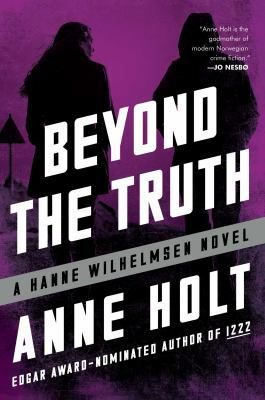 Chief Inspector Hanne Wilhelmsen is faced with a tough case to crack: who murdered four people in the home of the Stahlbergs, including Hermann, a wealthy shipping magnate? His wife and son are also among the victims, as well as Knut Sidensvans, a publishing consultant, who appears to have no real connection with the family. Hanne’s colleagues are convinced that the remaining brother and his wife are the murderers, as they were cut out of the recent will of the father. But Hanne insists on taking her time, methodically putting all the pieces together. Anne Holt uses a good deal of descriptive language, so be prepared, this is a slow read for mystery fans. There is a reason why this book was so many awards in 2016! FIVE STARS! Burn Baby Burn takes place in the summer of 1977 in New York City. There is a lot going on in New York that Summer: the Son of Sam serial killer is murdering young couples in the streets and there is a spike in crimes of arson (and looting during the infamous blackout that occurred that Summer). This book is not cheesy. This book is not filled with typical YA teen angst. Nora’s issues are real and relate able. This book is one of the best books that I’ve read so far in 2017. You can bet that if Meg Medina writes anything else that I will be reading it! Teresa Messineo has written a harrowing portrayal of conditions faced by military nurses during WWII, both in the European and the Pacific theatres. The story revolves around two fictional characters in particular. Jo McMahon is stationed on the Western Front in the spring of 1945, very close to the fighting, with planes constantly dropping bombs all around her. The personnel who were evacuated in the first wave all met death just a few miles up the road. She is trapped with her 6 patients, a crusty captain and virtually no medical supplies. Our other heroine, Kay Elliott, is serving in an underground hospital in the Malinta Tunnel, on the island of Corregidor, in the Phillipines. It is the winter of early 1945, just as the Japanese begin to attack the island. She is sent to an internment camp in Manila, where she has to endure cruelty and starvation by the Japanese army. This is a difficult read, but I highly recommend it. According to an article in American Libraries Direct, the Cologne Public Library in Germany has found ways to remain relevant in the current digital age. First is its focus on welcoming immigrants into the community, having added a sprachraum, or language space. This space acts as a meeting point and place of learning for the 13,000+ migrant residents of the city. Weekly workshops (run by volunteers) are offered to refugees, with topics ranging from German vocabulary to finding a place to live. Many libraries are also offering “maker spaces”, a current term, that allow patrons to experience new technologies such as 3D printers and virtual reality glasses. And of course, the German libraries cater to their patrons’ need for refreshments, offering cafes in study rooms and children’s areas. Some food for thought, especially since patronage in German public libraries has grown by 5 million people between 2013 and 2015, as reported in the article.